A new piece of evidence has emerged to add weight to previous speculation that Microsoft is going to be selling hardware products (and not just apps) via the Microsoft Store (formerly known as the Windows Store). 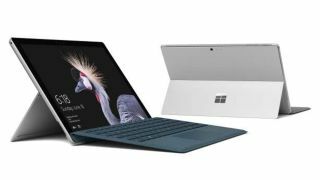 The latest rumor comes courtesy of prolific Microsoft leaker WalkingCat, who posted a screenshot of a ‘Shop Surface’ section within the Microsoft Store selling the firm’s Surface devices and related accessories. While this is far from a cast-iron guarantee that hardware will be sold in Windows 10’s built-in store, the appearance of an actual designed-and-implemented section of the shop certainly makes it seem like this is Microsoft’s eventual plan. Particularly when you consider the earlier rumors we reported on last month, which include a tech site successfully making a hardware purchase within the store in a preview version of Windows (showing that the functionality is actually working at some underlying level, in testing). While you can, of course, purchase Surface hybrids and other hardware online at Microsoft’s web store, being able to do so from directly within Windows 10 would add a new level of convenience, not to mention security (with integrated Windows Hello verification). And obviously enough, for Microsoft, this is another potential avenue of sales, and a way to push its Surface line – which is picking up momentum according to the company’s latest fiscal report.